Just as in life, much in business also changes. The trick is to make sure you bring customers along for the ride. When Netflix recently announced it was splitting its DVD-rental service from its growing streaming service, and renaming the DVD-rental service Qwikster, the change was met with jeers from customers and outside observers alike. 1. Get your timing right. Netflix's customers were already miffed about a recent rate hike announcement which the company has admitted was bungled. Coming out with yet another jarring change two months after raising prices isn't what I call good timing. 2. Don't leave customers guessing. Giving the DVD service a separate name, has many customers wondering if the company is planning to spin Qwikster off. If so, that might end any advantages for Netflix members who like to tap both the company's streaming and DVD-rental services. 3. Pay attention to social media. The Twitter handle Qwikster was already taken -- by a guy who likes to cuss and discuss his drug use. Can't wait to see how Netflix plans to fix this mess, especially since current Qwikster owner Jason Castillo hasn't included a website link or geographic location in his bio. But archrival Blockbuster is celebrating by tweeting its special discount offers for Netflix customers who switch. 4. Have an air-tight game plan. Rumors have been circling about whether Netflix made this move in the hopes of selling off the DVD-rental business to Amazon.com, which has declined to comment. 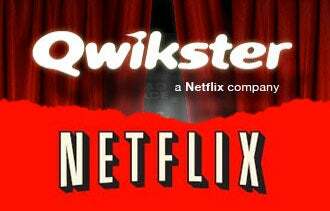 If Netflix isn't positioning Qwikster for sale, then the renaming is pretty much inexplicable. In any case, what if a selloff plan doesn't pan out? Now, Netflix is stuck with two brands it has to promote separately, and a whole new brand it must build up from scratch. 5. Involve customers in changes. It might have been smarter to wait until a buyer was found and let the new owner rename the DVD-rental business. Or, Netflix could have held a customer contest to come up with a new name, which would have created interest and made customers feel more like Netflix cared about their opinions. What lessons have you learned from Netflix's split? Leave a comment and give us your take.